„Hardkor Disko” is a film debut by Krzysztof Skonieczny, director and author of cult, award-winning music videos. The leading role is played by Marcin Kowalczyk, one of the most interesting young Polish actors, winner of the Acting Prize of the Gdynia Film Festival and the Zbyszek Cybulski Award. The film also features Jaśmina Polak, in her silver screen debut, Agnieszka Wosińska and Janusz Chabior. For the director of photography, Kacper Fertacz, the film was also a feature debut. Marcin learns about something crucial to his own past, thus discovering his true identity. He comes to a big city to settle the score with the new reality – and to take revenge. Unexpectedly, he meets Ola, a girl that proves very close to him. Marcin enters her world of drugs, endless, bohemian parties and illegal car races. Though racked with doubt, he goes on to fulfil his plan. And yet, he cannot cope with the feelings that, in spite of their ties, grew between Ola and him. In this modern tragedy, the gods allow for a catharsis, but not for a happy ending. ‘Hardkor Disko’ is a story about a desperate search for identity, about guilt, revenge and punishment, and about impossible love. It is an attempt to portray the contemporary young generation. The idea for this film and manner in which it should be executed was born a while ago. It took just over a year to write the script and put the final post-production touches to the movie. The key creative idea lay in the broadly-conceived radicalism, permeating the construction, dramaturgy, visual narration, production design, camera work and the events presented in the film. I wanted to construct the form around aesthetic and stylistic contrasts – to tell the story through image/dialogue, through dynamic editing/long takes, aesthetising/quasi-documentary dirt, linearity/inversion etc. The film was shot in Berlin, Warsaw and Masovia. Through this combination, I wanted to paint the picture of a universal, cosmopolitan metropolis, any larger city in the world really, and contrast it with the kingdom of nature. I was thinking about a symbolic place, about any city in the world, one that reflected global reality like a mirror. When choosing locations, my priority was to find authenticity in the related events, so that I could portray the actual, generational background. This is why the film contains some elements of a quasi-documentary nature. ‘Hardkor Disko’ is governed by one, overriding idea – that of independence. I wanted this film to reflect my own ideas, without paying homage to someone else’s ambitions or projects. I produced it on my own with the support of my team (głębokiOFF), which enabled all the line-crossing and going beyond the entrenched patterns. What counted the most when pursuing this goal was the craze, the passion for creating cinema, shared by all those in one way or another involved in this ‘levy en masse’. All the while, we had to cope with obstacles and problems that we either resolved on the spot or searched for alternatives – if we felt that we had come up to a wall, we tried tuning into what reality was telling us. As it turned out, reality was always right. Our project was also boosted by the untamed energy of many different people who kept their fingers crossed in masses and supported us along the way. 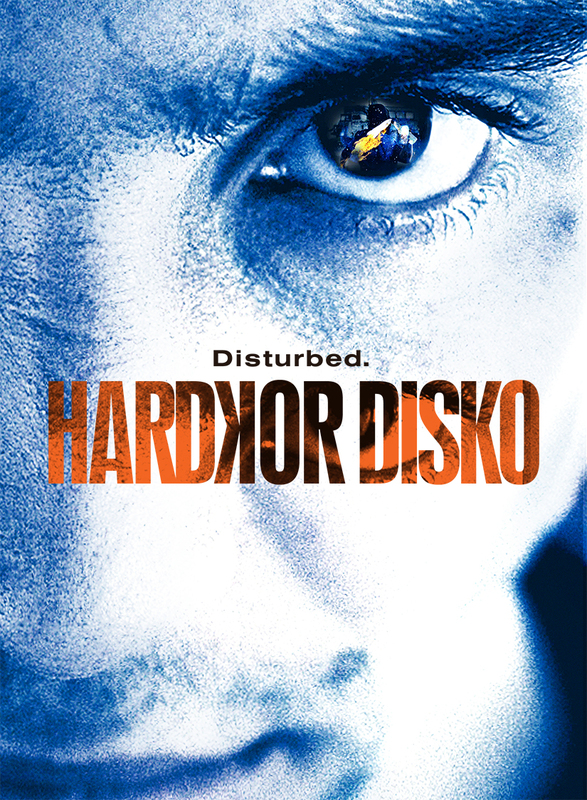 Music (a soundtrack of popular songs) plays one of the main roles in ‘Hardkor Disko’. We designed this aspect together with writing the script. The soundtrack proceeds smoothly from songs dedicated to our parents’ generation – the ‘disko generation’ (Haendel, Dwa Plus Jeden, Anna German, Bajm or Dezerter) – to be completed by contemporary musical genres characteristic to the ‘hardkor generation’, such as ambient, hip-hop or electro punk (Mary Komasa, Sorry Boys, Łona/Webber, Slutocasters). The creational sound is equally important – backgrounds and sound vibes rooted in experimental music. The structure of ‘Hardkor Disko’ was inspired by Greek tragedy – the film is divided into three acts, all of them introduced by a choir chant, with a prologue and an exodus. The film tells the story of an impossible love, while the main character’s chief motivation and idée fixe lies in the words ‘give us what belongs to us, give us the truth, or we will take it by force, leaving you with nothing but ruins’. The protagonist is anarchy personified, shaped by injustice and hurt. It is also an allegory of revolution. I study the simplest of rules, such as the Old Testament credo of ‘an eye for an eye, a tooth for a tooth’. The collapse of all values and the moral disorientation are drawing nigh. Perhaps in our times, people are motivated mainly by their desire for vendetta and total commitment to love? Perhaps these are the two most important commandments? I feel that my parents’ generation had a more stable moral compass, while today, the young soul struggles with disorientation, erring through the vast collage of values, philosophies and religions. The young generation is characterized by hedonism, aggression, self-destruction, consumerism and oversensitivity. ‘Hardkor Disko’ observes and comments on the reality that surrounds us here and now – it is an attempt to construct a reliable account of the world that has done away with rules, a world that drifts away into a vacuum. I would like the film to be experienced on a deeply personal level, depending on the knowledge, experience, sensitivity and character of the viewer, so that everyone can look into it as if it were a mirror. The form and content of ‘Hardkor Disko’ is only a pretext for imagining your own story and asking your own question, while at the same time avoiding simple answers.